Hundreds of U.S. soldiers have begun arriving in Germany in the first test of a rapid deployment strategy meant to bolster NATO's presence in eastern Europe in the event of Russian aggression or other emergencies. U.S. Army Europe says 350 soldiers from the 1st Armored Division arrived in Berlin Tuesday as part of a group of 1,500 arriving this week. 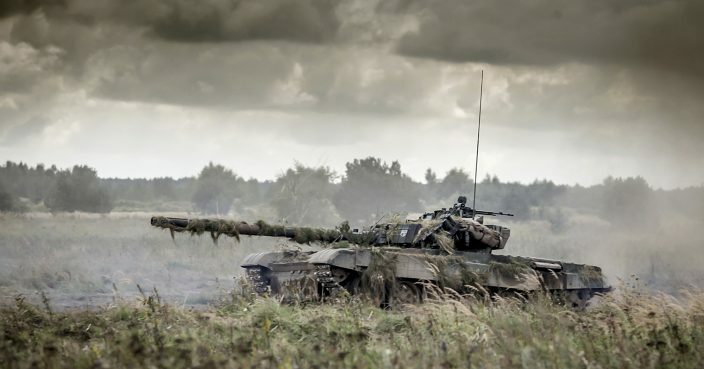 They're heading to Poland, where they will link up with tanks and other heavy equipment being brought in from a pre-positioned site in the Netherlands. They will then conduct maneuvers with Polish forces. The idea of the "dynamic force employment" strategy is to "rapidly surge combat-ready forces" into Europe when needed. The U.S., Canada, Germany and Britain already lead battalion-size units in Poland, Latvia, Lithuania, and Estonia.